We are saddened to hear of this fatal accident in Whatley. Unfortunately, fatal and serious car accidents often occur when large vehicles such as dump trucks and other commercial vehicles are involved in crashes. The sheer weight and size of these vehicles makes it far more likely that a crash will be more serious in nature than a crash involving passenger vehicles. As the investigation remains ongoing, police will look to establish the actual sequence of events leading to the crash and also to determine the ultimate cause of the collision. 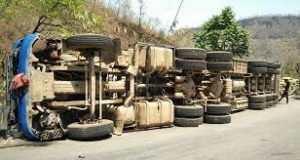 In the case of a rollover crash, there are several factors to consider including drier error, but also equipment malfunction and poor roadway conditions. Police will take a look at all of these issues in determining the reason for the crash.